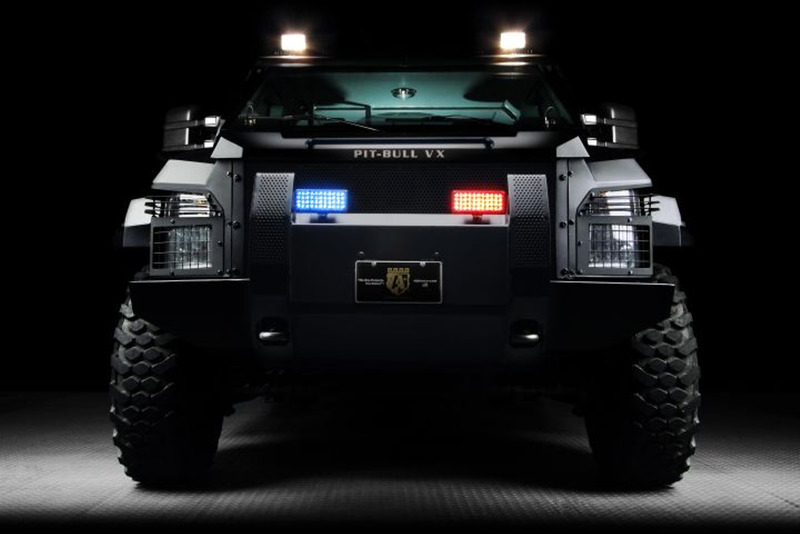 Alpine Armoring's Pit-bull VX SWAT Truck debuted at the 2011 IACP conference in Chicago, and the sleek, imposing vehicle looks like it may have rolled off an action-movie set. The 4x4 truck, which is built on a Ford F-550 chassis, offers armor protection up to NIJ Level IV to stop high-power rifle rounds, including 7.62x51, 7.62x54, and 5.56x45. View our gallery for more on this vehicle. Photos courtesy of Alpine Armoring.